Volvo is starting a pilot project that aims to have 100 self-driving cars on Swedish public roads around the city of Gothenburg by 2017. The project is called "Drive Me" and is a joint initiative between the Volvo Car Group, the Swedish Transport Administration, the Swedish Transport Agency, Lindholmen Science Park and the City of Gothenburg, Volvo said Monday. Together they will make an effort to eliminate deadly car crashes in Sweden, said Erik Coelingh, technical specialist at Volvo Car Group. In the next few years, Volvo will develop its Scalable Product Architecture (SPA) in its XC90 model. The goal is to have the first self-driving cars available to 100 consumers by 2017, Coelingh said. They will be able let their cars navigate about 50 typical commuter arteries that include motorway conditions and frequent traffic jams in and around Gothenburg, the country's second largest city. Volvo will combine components and software from other companies and tie them together in its own system, said Coelingh, who added that Volvo makes its own algorithms for steering, braking and motor control. The car uses radar and camera technology to monitor the environment around the car and it also uses a map of the roads that it is traveling on. The latest map data will be sent to the vehicle from Volvo's cloud, said Coelingh, who can be seen demonstrating how the prototype works in a video posted on Volvo's website. The cars however will probably not be able to drive the whole route from home to work in 2017, said Coelingh. Navigating around pedestrians in the city center is something the driver will still be required to do, he said, adding that self-driving cars are the most useful in monotonous traffic situations. Volvo is already testing the technology, but the test drivers still have to monitor the self-driving car constantly, Coelingh said. By 2017, however, it should be possible for consumers to read the paper or have a cup of coffee on selected roads, he said. Self-driving will only be allowed on selected roads that are tested and it will still be necessary to have mechanisms to let a driver take control of the car. When a car leaves one of the selected roads, the driver will need to take over, said Coelingh. Being able to take control is also necessary in other scenarios, when the technology fails. While this risk is "very slim," it could happen, said Coelingh. If that happens and the driver cannot take control of the car (when someone is asleep for example), Volvo's self-driving car will stop in its lane or if possible in an emergency lane, he said. In addition to driving on roads, the car will also be able to park itself, said Coelingh. The driver can use a mobile application to activate the automated parking and can then walk away. The car will use sensors to find an empty spot and combine autonomous driving and auto braking to make it possible to interact safely with other cars and pedestrians, according to Volvo. The procedure can be reversed when the driver picks up the car. Automated parking will only be available in certain areas though. Vehicle 2 Infrastructure technology, which comprise transmitters in the road infrastructure, will inform the driver when the service is available. The project will start in 2014 and will combine technology development with customer research. The focus will be on infrastructure requirements for autonomous driving, research into consumer's confidence in such vehicles and on how autonomous vehicles can bring societal and economic benefits by improving traffic efficiency and road safety. Cars that drive themselves are also being tested by Google, Mercedes and other companies. Florida and California have permitted testing of self-driving vehicles. 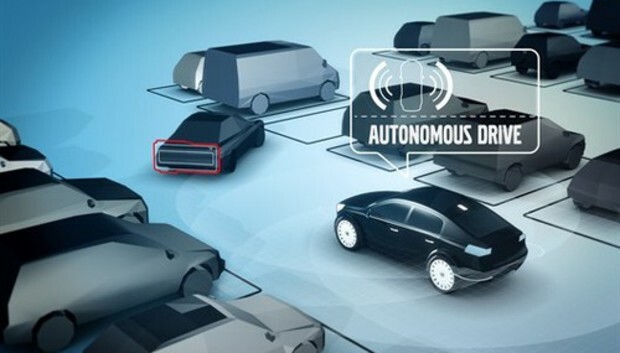 And the U.K. announced in July it would start testing autonomous cars on the road by the end of the year.